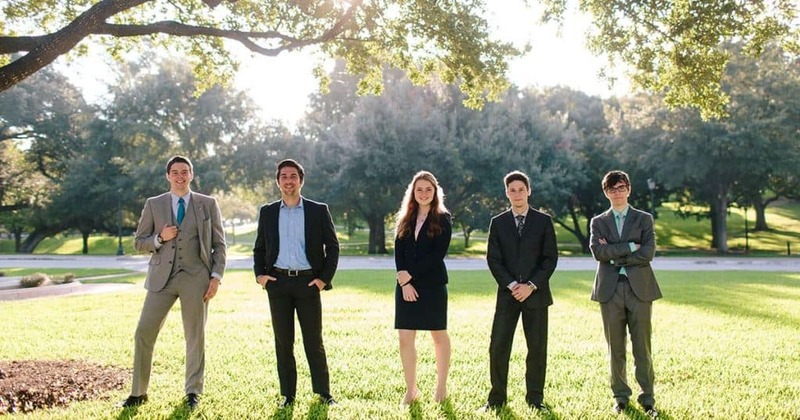 The THSC Watchmen are a team of homeschool graduates who work and reside in Austin during each Texas legislative session. They serve alongside THSC as legislative watchdogs as the only organization that works full-time in Austin during each session to protect the rights of the homeschooling community and Texas families. The team spends countless hours advancing family rights and homeschool freedoms for Texas families. Three Watchmen now work with conservative, pro-family legislators, political candidates or think tanks. Three Watchmen are in law school or preparing for law school. Three Watchmen are now on the THSC staff in the Policy department. Two Watchmen are preparing to go into the US armed forces. Every day during the five-month session, the THSC Watchmen canvas legislative offices, negotiate language changes in bills, solicit support for good legislation that promotes homeschooling and family rights, and opposes legislation that would negatively impact homeschoolers and families. Opposing bad legislation that would have compromised the rights of Texas families. The Parent-Child Protection Act to protect innocent families from CPS intrusion. The Family Unity Act to restore family rights and close loopholes hurting Texas families. The Tim Tebow Bill to allow homeschool students to participate in UIL activities with public school peers. In 2013, the THSC Watchmen discovered and stopped a bill that would have given CPS a significant advantage over families in Texas court by allowing CPS to take children based on convictions under foreign law. In 2015, the THSC Watchmen rallied with other advocates to successfully petition the Governor for a veto of SB 359, a bill which would have allowed hospitals to forcibly detain children against their will and against their parents’ will. In 2017, The THSC Watchmen caught and fixed a bill which would have allowed CPS to visit innocent families monthly based solely on whether they displayed “risk factors” of potentially committing an offense in the future. Income level was specifically mentioned in the bill. For a full list of 2017 successes, visit our 2017 Legislative Victories page. Our success during recent Texas legislative sessions has earned us a reputation at the Capitol as an effective lobby team with a well-coordinated, gracious and principled approach—even on controversial issues. To achieve our mission at the Capitol, the THSC Watchmen Program requires funding from generous supporters like you. Your gift of $250 will buy social and digital media outreach for one week. Your gift of $500 will provide one month delivery of our e-newsletter and other important information to Texas families. Your gift of $750 will supply one month of room and board for a THSC Watchmen member. Your gift of $1,500 will pay for one full month of lobby expenses for a THSC Watchmen member. Will you donate today to help the THSC Watchmen fight for your rights in Austin? This is a vital part of THSC’s core mission Keeping Texas Families Free!